Snowflake earrings Silver - (hook type) Earrings of delicate snow crystals. We made in a cool pure image in silver. Finish is the rustic atmosphere in the mat! Swaying swaying snow crystal to hook of simple design. 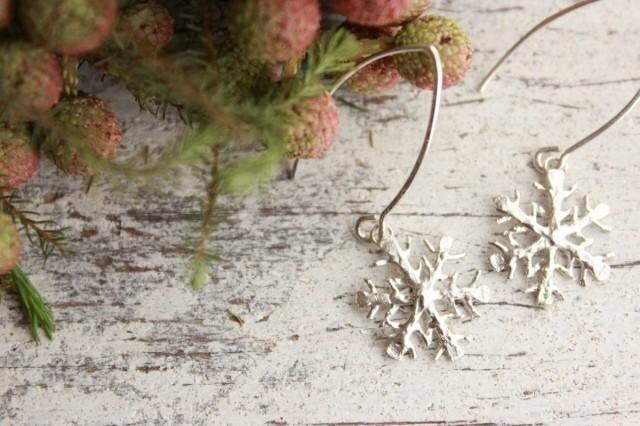 Now lovely earrings of winter unique! Silver **Notes at the time of the purchase** All so we have produced by hand ※ Please understand as a point product color and shape is slightly different for each work. ※ thank you enough so that you please confirm the "size" and "material" in the work before you buy.